Prince Hotel has enabled Jodie to maintain a positive and cheerful attitude nowadays at Hastings Racecourse, and it shows. Her 45% winning percentage with the lowest number of starts among the Top 10 trainers this year is, in a word, awesome. So how does a horse go from not winning a race in eight starts in 2015 to winning five in a row in 2016? Prince Hotel, an imposing 4-year-old gelding owned by Richmond breeder Barry Tyrer, went on his current winning binge this season with back-to-back victories in May, followed by three consecutive first-place finishes in the Champions Starter Qualifying series. Those five wins in six starts this year have resulted in $43,551 in 2016 purse earnings for Prince Hotel and allowed Rawson to head into this weekend perched in eighth place in the Leading Trainer standings. In just 22 starts, Rawson has a total of 10 wins with Prince Hotel having won half of those – all with Hamel directing traffic. 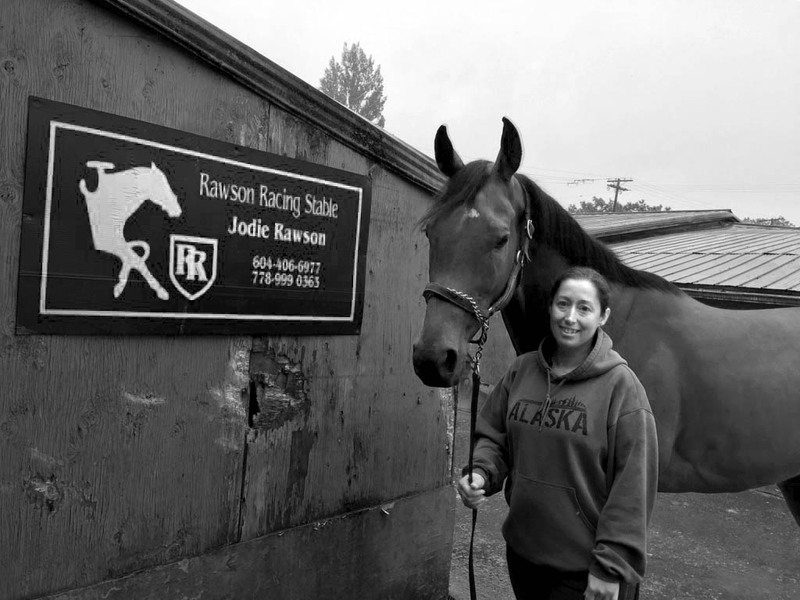 Jodie’s late father Roy, a successful trainer at Hastings, introduced her to the business as a groom and eventually an outrider before Jodie attaining her trainer’s license in 2008. This five-race winning streak by Prince Hotel brings up some fond and not-so-fond memories of similar exciting moments with Kai’s Command in 2014. He, too, won five in a row but died in his stall two days after his last race, a victim of colitis.